Nine SCM Microsystems smart card readers have been approved for use at federal agencies. The HSPD-12 compliant readers have made the U.S. Government Services Administration’s approved product list. The readers are designed to be compatible with both existing and future identification credentials issued under HSPD-12. FREMONT, Calif. – SCM Microsystems, Inc., a leading provider of solutions that open the Digital World, today announced that nine of its secure smart card readers have been determined to be compliant with Homeland Security Presidential Directive (HSPD)-12 and have thus been included on the Government Services Administration’s (GSA) Approved Product List. The GSA list governs which products and services may be purchased by federal agencies for the HSPD-12 program. HSPD-12 is the presidential order that requires all government employees and contractors to carry a standard identity credential that works across all agencies. The credential, in the form of a smart card, is intended to be used for secure access to facilities (physical access) and for securely logging on to government computers or networks (logical access). Over six million federal workers and contractors are expected to carry an identification card under HSPD-12 by October 2007. Smart card readers will be required at all agencies to support both physical and logical access. These will be installed over the next few years. 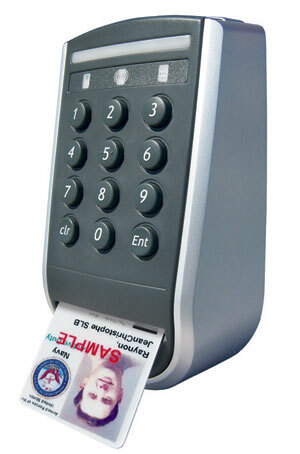 SCM’s GSA-approved smart card readers are designed to be compatible with both existing and future identification credentials issued under HSPD-12 for federal agencies, including the Department of Defense, Department of Homeland Security, Department of State, Department of Interior, and all other federal agencies. Currently, SCM readers are predominantly used to read the nearly four million active cards that have been issued to Department of Defense personnel under the Common Access Card (CAC) program, a predecessor to the HSPD-12 program. SCM is one of the two firms currently approved to supply GSA-approved smart card readers. SCM’s products on the GSA Approved Products List include the SDI010 contact/contactless reader; USB readers SCR331, SCR3310 and SCR3311; drive bay USB reader SCR333; USB/serial port reader SCR531; ExpressCard reader SCR3340; PCMCIA card reader SCR243; and serial port reader SCR131. Additional SCM products have been submitted to the GSA’s testing cycle and, if determined to be conformant, will also be added to the Approved Products List. The full list is available at fips201ep.cio.gov/apl.php. SCM Microsystems is a leading supplier of solutions that open the Digital World by enabling people to conveniently access digital content and services. The company develops, markets and sells the industry’s broadest range of smart card reader technology for secure PC, network and physical access and digital media readers for transfer of digital content to OEM customers in the government, financial, enterprise, consumer electronics and photographic equipment markets worldwide. Global headquarters are in Fremont, California, with European headquarters in Ismaning, Germany. For additional information, visit the SCM Microsystems web site at www.scmmicro.com.